A table scape becomes that much more beautiful with this spectacular set. 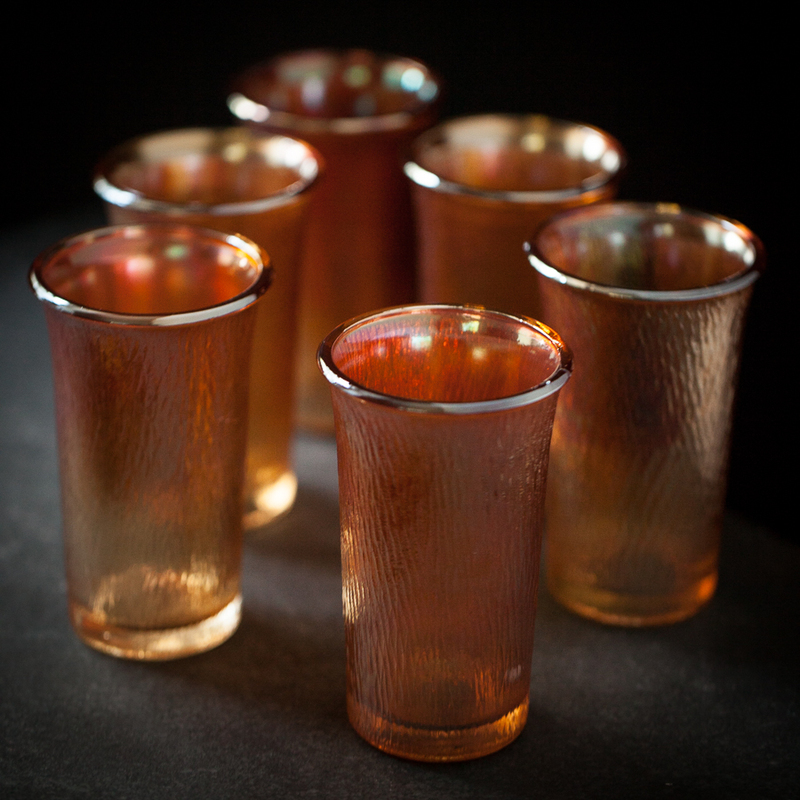 This Vintage Imperial Glass Tree Bark Carnival seven piece set will sure to be a favorite throughout every season. The set consists of 7 pieces: A 48 oz. pitcher, and six - 6 oz. tumblers.